I adore nothing more than a nice bold lip color. I really think fall is the perfect season to really experiment and try new colors that you wouldn’t normally don. I definitely like to bring out darker hues, more matte finishes and sometimes a little bits of metallic to spice it up. There is something about a good lip color that can really elevate a look, it can make or break an outfit, add a pop of femininity and for me personally, it highlights what I believe to be the best feature on my face (my lips). Some of my favorite fall lipsticks include Maybelline Vivid Matte Liquid Lipstick in Grey Envy, Possessed Plum and Rebel Red. I also think Buxom has a really great selection of fabulous lip colors for fall. 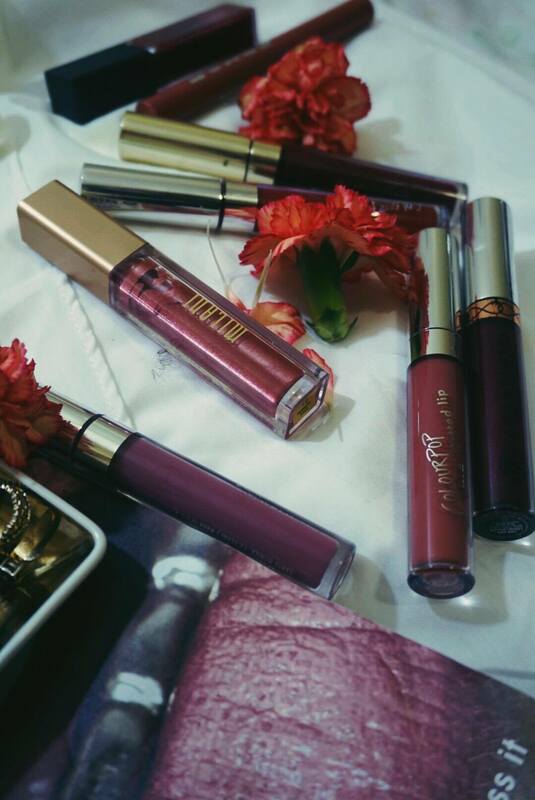 To get a lot of my darker colors, I turn to Anastasia Beverly Hills Liquid Lipsticks. I feel like their formula is amazing no matter the season and the choices are endless. My favorites include the shades Heathers, Sarafine, Veronica, Crush, Katheryn, and Sad Girl. 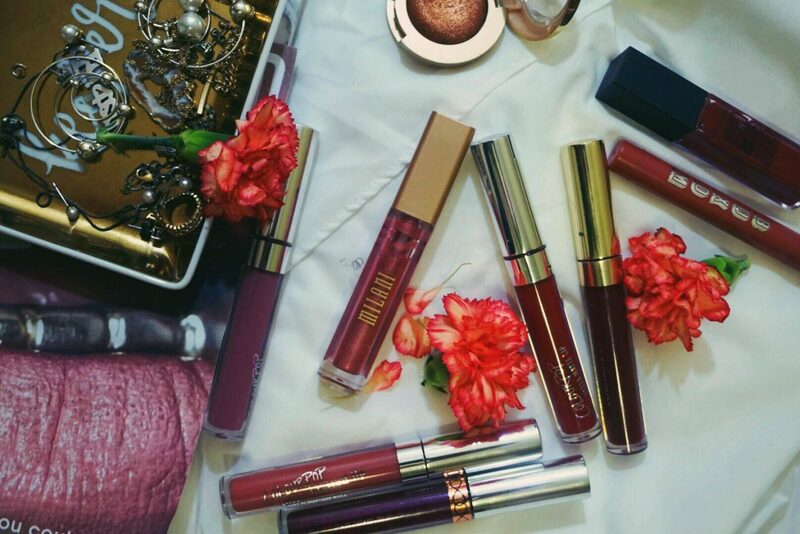 If you are really trying to highlight your lips and add a bit of metallic real-ness definitely try your hand at Milani’s Amore Matte Metallics, these lip colors are so bomb! Tis’ the season to get your hands on Matterialistic, the Ultimatte, and Chromatic Addict now! Don’t forget to subscribe so you don’t miss any new posts. love all the colors! i’m a sucker for a good dark lip, especially in the mauve department!